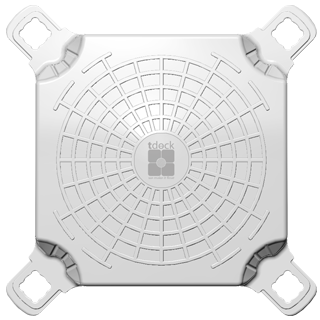 “T Dock” is committed to delivering high quality products. Have you ever considered expanding your current dock? Or build a completely new dock on your waterfront property? Perhaps you haven’t considered moving ahead with the project because it seems too complicated. T Dock can help you. Our floating docks are as easy to put together as 1-2-3. Do you remember playing with blocks as a child? The concept is the same – for grownups! Put your dock together yourself or have it installed by one of the experts on our team. Our products are Made In Europe, and built with European quality and according to European standards. With us, safety always comes first and we only manufacture to the specifications in which we would have our children walk and play on the docks. We would never put you or your family at risk. When comparing the products built by our competitors, you can consider us as the most stress-free company to buy from. Your satisfaction is guaranteed. The majority of our clients can install their docks in less than a day, and two people with no prior technical training are able to install 50 cubes or more in an hour. Surely if you are unable to do so, we can assist you to save even more time. We understand your time on the water is precious! Finally, our T Dock systems can be used as floating platforms for fish farms, landing platforms, maintenance structures, marina installations and other organizations such as concerts, private events, restaurants, temporary installations and of course, for water sports. Our customer service is available 24/7 and we can even help you obtain the building plans or your dock installation permit should you request. Our in-house financing options allow us to best meet your needs while taking into consideration your possible budget constraints. We are less expensive than our competition and yet eco-friendly and always think of our impact on the environment before we make a decision that could affect our children’s future.